The lives of millions of Syrians have been destroyed by a horrific war that has killed hundreds of thousands and forced millions to flee their homeland. I went there last week to see and hear directly from the Syrian people. I met with displaced families from Eastern Aleppo, Raqqah, Zabadani, Latakia and the outskirts of Damascus. I heard from Syrian opposition leaders who commanded the 2011 protests, widows and children of men fighting both for and against the government. I listened to Muslim and Christian leaders, humanitarian workers, academics, college students, small business owners and many more. Their message was clear: The regime change war the U.S. is fueling in Syria does not serve America’s interest, or the interest of the Syrian people. Time and again I was asked, “Why is the United States and its allies helping al-Qaeda and other terrorist groups take over Syria? Syria did not attack the United States. Al-Qaeda did.” I had no answer. These are the frustrated voices that have not been heard. Instead, we’ve heard incomplete, one-sided reports that push a narrative supporting this regime change war at the expense of Syrian lives. 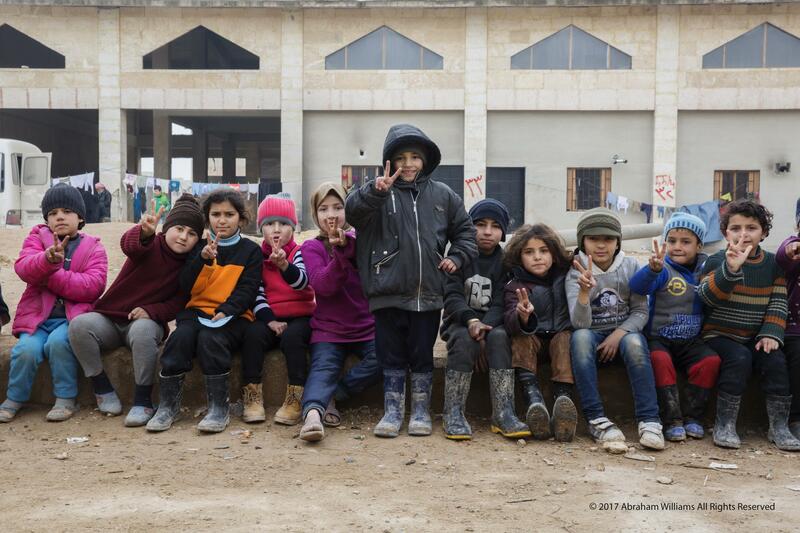 I met these children at a shelter in Aleppo. Their families fled the eastern part of the city. Many of these children have only known war, loss and hardship. Their families’ only wish is for peace. I met a boy who was kidnapped while walking down the street to buy bread for his family. He was tortured, waterboarded, electrocuted, placed on a cross and whipped because he refused to help so-called rebels  he told them he just wanted to go to school. This is how the “rebels” treat the Syrian people who do not cooperate with them, or whose religion is not acceptable to them. Repeatedly I was told there is no difference between “moderate” rebels and al-Qaeda (al-Nusra) or ISIS  they are all the same. Although opposed to the Assad government, the political opposition leaders adamantly rejected violence as a way to bring about reforms. They shared that it’s the Wahhabi jihadists, fueled by foreign governments, that pose the greatest threat to Syria and its history as a secular, pluralist, once-peaceful society. They continue to seek government reforms, but support the Syrian state over jihadist terrorist groups as they work to bring peace to Syria. The consequences of this regime change war extend beyond the boundaries of Syria. As we spend trillions of dollars on regime change in the Middle East, Hawai'i, along with communities across the country, faces a severe lack of affordable housing, aging infrastructure, the need to invest in education, health care, and so much more. Our limited resources should go toward rebuilding our communities here at home, not fueling more counterproductive regime change wars abroad. For years, the U.S. government has been directly and indirectly supporting allies and partners of terrorist groups like al-Qaeda and ISIS with money, weapons, and intelligence in their fight to overthrow the Syrian government. I return to D.C. this week with even greater resolve to end this illegal and counterproductive war. From Iraq to Libya and now in Syria, the U.S. has waged wars of regime change, each resulting in unimaginable suffering, devastating loss of life, and the strengthening of groups like al-Qaeda and ISIS. We must allow the Syrian people to try to recover from this terrible war by ending our support for the terrorists destroying Syria and her people. My Stop Arming Terrorist Act would do just that. To read more about my trip to Syria, click here. 300 Ala Moana Blvd., 5-104 Prince Kuhio Bldg.